Typical Daily Mail. Sneering. Objectifying women. It would never do this with men. How demeaning, taking a member of the Government and reducing her to her dress, hair, shoes, bag and make-up. 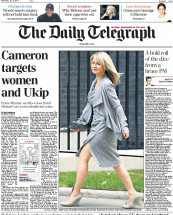 Esther McVey knew very well that all eyes would be on her as she made her way to 10 Downing Street. Because she wanted them to be. She could have gone for the fuschia jacket, pencil skirt and court shoe combo that was the trademark of the Blair Babes or a simple summer shift, but she didn't. Ms McV was making a statement with her outfit and she would - or should - have expected it to be scrutinised almost as closely as any statement she makes at the Despatch Box. 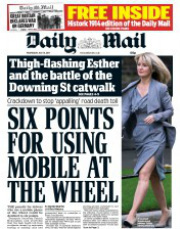 Does that make the Mail shallow and sexist? Not really (at least in this instance). 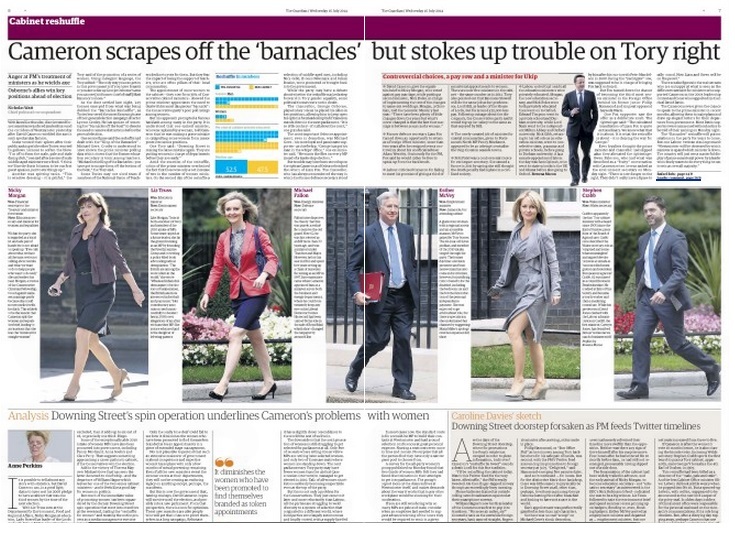 The comings and goings in Downing Street on reshuffle day are standard picture spread fare. 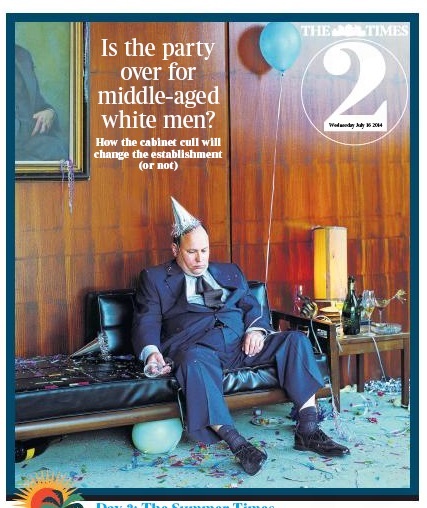 And even when they are all - or mostly - men, one photograph is always used more prominently than the rest and it is almost invariably chosen because of some quirk in the minister's appearance. Whether the other eight women being shuffled yesterday deserved to have their clothes appraised or costed is open to question, but every one of them will have checked their cameraworthiness before leaving home. The thing with stereotypes is that they become stereotypes because they have a core of basic truth. Most Western women - most people, in fact - like to look good. Women like to look at pictures of women, and women like to know where other women got their clothes, bags and shoes. This page will have been commissioned by a woman and pulled together by a women. There is no patriarchy at work here. Not from the newspaper, at least. Downing Street may be another matter. There was a lot of pre-shuffle spinning around McVey's advance to the Cabinet - just as there was during the Maria Miller shenanigans. A former telly person, she doesn't look like your average Tory woman, and her physical attributes can be used equally to her own or the party's advantage. She didn't get the culture job, she hasn't been promoted to the Cabinet, she hasn't even been given a new portfolio - but she has been on the front pages a lot. Who was briefing that she was en route to the big time? Cameron's team admitted before the reshuffle that there was a "women problem" and we were led to believe that more women would be drafted in. The response was not "about time" but "blatant tokenism". 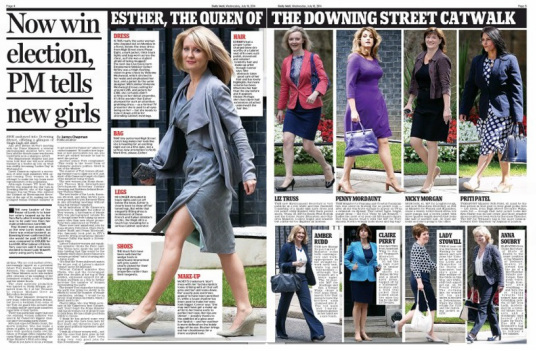 And the truth didn't match the hype: two women were promoted to the Cabinet. 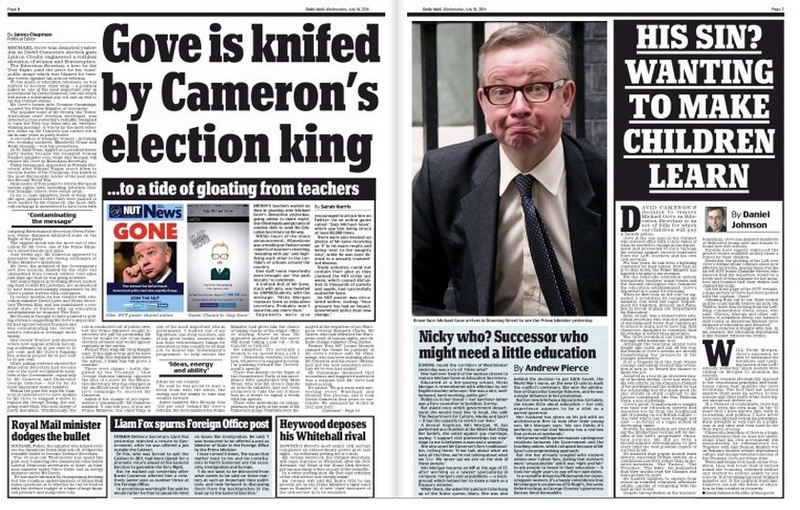 So was it all a smokescreen to keep the much bigger story - the dumping of Gove - under wraps? Or was Team Cam simply inept? Whatever the background, the "march of the women" line was followed across Fleet Street. Anyone with an ounce of news-sense knows that the story of the day was Gove. The Guardian, Independent and i made him the splash and picture; the Mirror and Sun both had him in the puff. 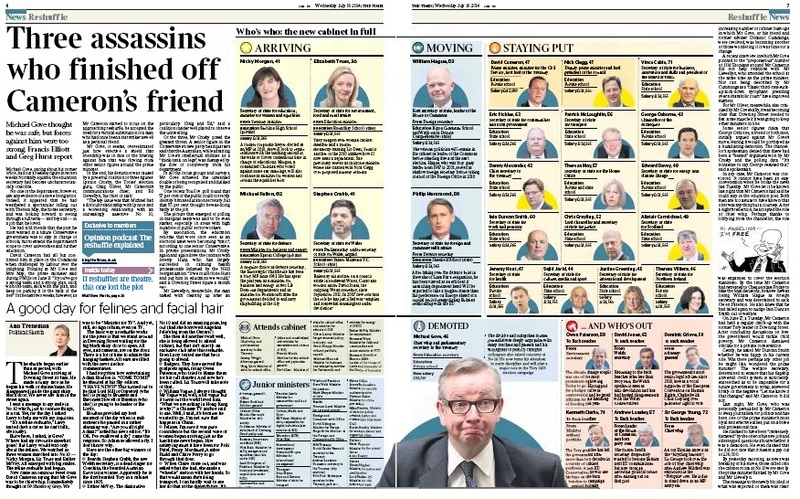 The Times created a cute but ultimately low-impact montage of the key players near the door of No 10, but splashed firmly on "toxic" Gove. The Star wasn't interested, the Mail and Express used McVey as the picture to cross-ref to the story inside, and the Telegraph went completely bonkers with a photograph of McVey alongside a story combining women and Eurosceptics. It was here, and not the "catwalk" spread that so upset this morning's Twitterati, that the editorial mistakes were made. McVey had no news value. 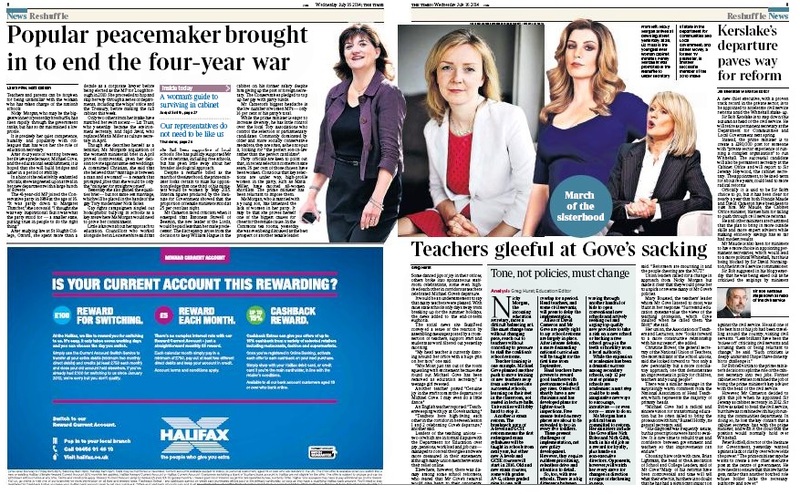 If the editor had decreed - as they are wont to do - that Gove would turn people off their cornflakes and that there MUST be "a woman" on the front, then the best choice would have been Nicky Morgan. 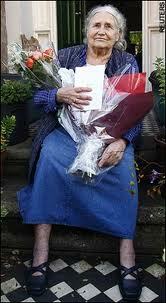 She is an integral part of the Gove story. A believer in his reforms and a lot more Palinist in her outlook, she may prove to be the embodiment of the warning: "Be careful what you wish for." 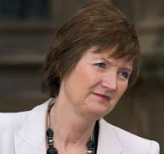 Morgan is anti-abortion and anti-gay marriage, which might not matter so much were she not combining the education portfolio with duties as minister for women, the family and equality. Is this not pushing the multitasking woman image a little too far?But never mind newsworthiness. 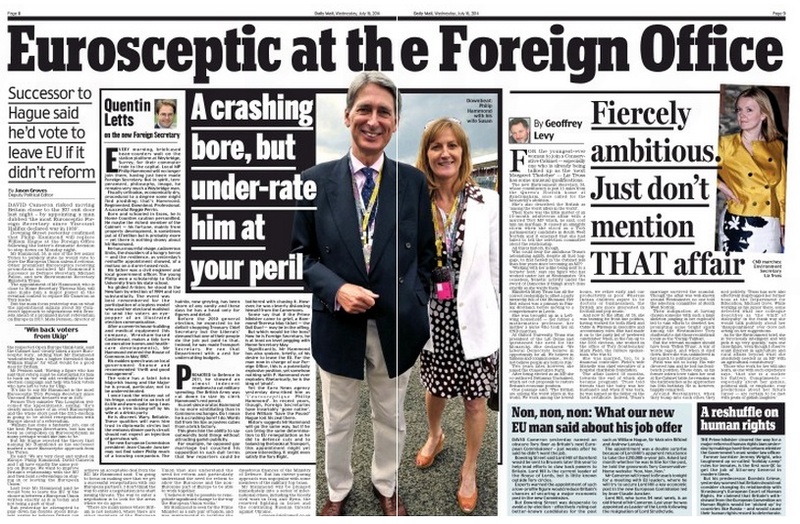 The (probably) men in charge used - and I choose the verb advisedly - the more glamorous McVey, or "thigh-flashing Esther" as the Mail described her, as their political dish of the day. 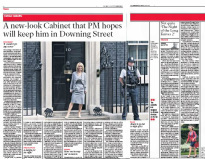 For all the mocking, the Mail produced some of the most comprehensive reshuffle coverage of the day, matched only by the Times. 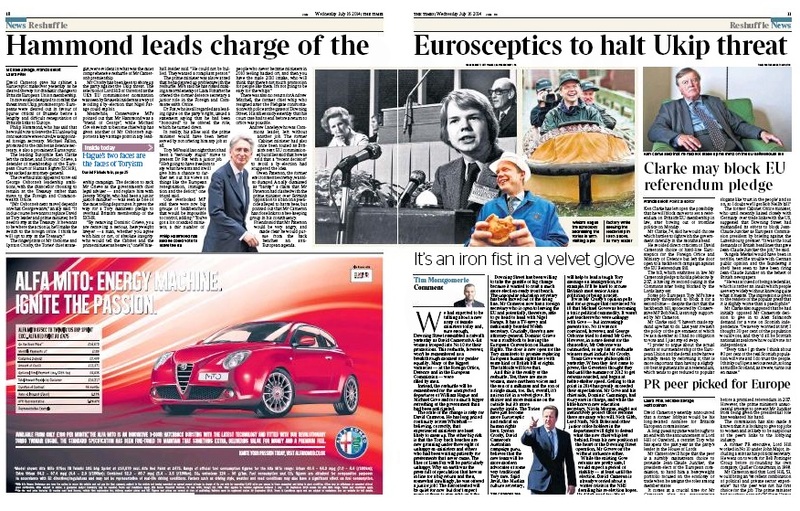 The Thunderer not only gave the story three spreads, but also an excellent diary column and a T2 cover story. So not all bad from the Mail - far from it. 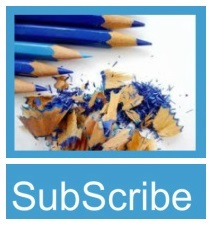 The SubScribe view is that there were three mistakes: Esther on the front, the women as the first rather than second or third inside spread, and Geoffrey Levy's piece about Liz Truss, which was far more patronising than anything anyone wrote about the women's clothes. Those who work for her will also learn, as one with such experience says, 'that she is a sucker for flattery. Compliments - especially about her genius, political skill, or emphatic rosy predictions about her future career - are certain to be met with peals of girlish laughter'. 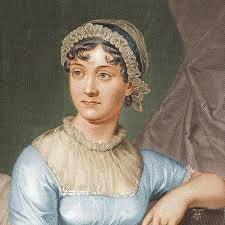 With so many equality issues still outstanding, is getting a woman on a banknote the key priority? 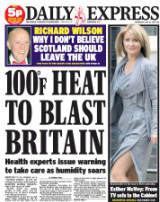 why is the Mail recycling old news? 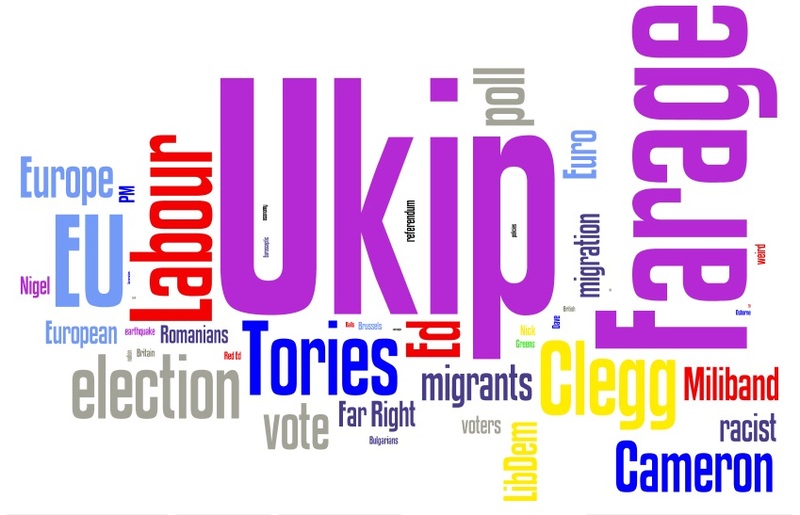 The SubScribe audit: How fair was the newspaper coverage of the European elections - and what about the politicians?